OMAHA, Neb. (KMTV) — Sounds of beautiful music could be heard today in the Durham Outpatient Center. 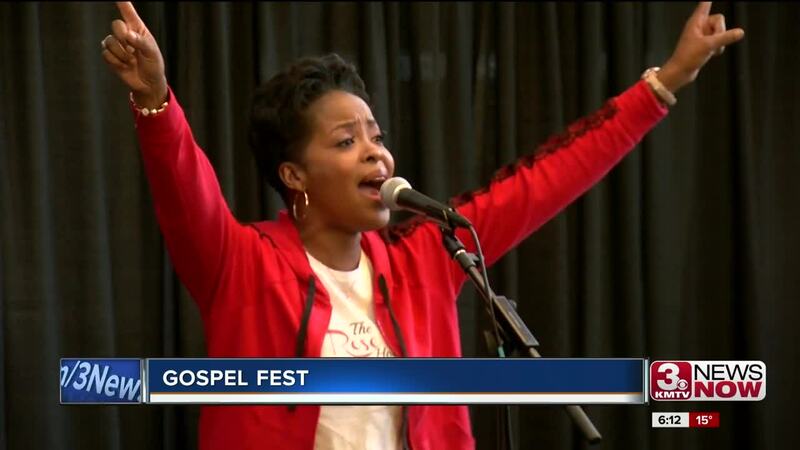 To celebrate Black History Month, UNOin collaboration with UNMC and Nebraska Medicine hosted an annual gospel fest for patients and staff. The musicians sang and performed different gospel songs for the audience, which included both patients and staff members at the hospital. "Most people enjoy music and enjoy listening to music and who wouldn't want to be a part of something where you're encouraging, helping with healing and help people feel good in general," said Giovanni Jones, a training and development specialist at UNMC. "Music is a very foundational portion of our heritage and it's important we always highlight it during the season," said Rev. Tarae People of Eagle's Nest Worship Center in Omaha. "You couldn't tell who was a patient, who worked here and who was passing through and we were all just people enjoying music and having a good time," Jones said. "I think music is wonderful. It takes your mind off the problems that you have and it invades your body where you're happy and you feel good," said Scott Widman, an Omaha resident who was seeing at doctor at the facility. Widman was taken aback by Peoples' voice. "I was drawn to it, to listen to the music and it meant a lot to me," Widman said. On his way out, Widman stopped by and let Peoples know just that. "There's no words, there are no words that can rightly express how honored I am what that really means," Peoples said. "To hear and get that immediate response from him makes it all worth while." On a day where music was meant to inspire, the audience inspired the musicians. "I have found my spot and found my place where I'm supposed to be and I will continue to that until I no longer can but I will continue to do that with the very best that I have," Peoples said.